Experts say that no amount of alcohol is safe to drink during pregnancy. Every new parent wants to have a healthy baby. To help make that happen, here’s some information about the risks of drinking during pregnancy and some ways to keep your developing baby safe. 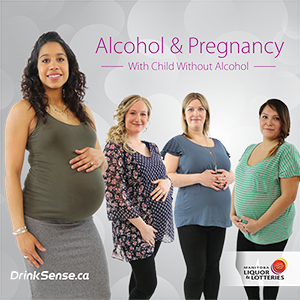 The Alcohol & Pregnancy Resource Guide is for women and their partners, family and friends. It provides information about alcohol use during pregnancy and its effects including Fetal Alcohol Spectrum Disorder. It also provides some ideas on how to support an alcohol-free pregnancy. You may also order free copies by visiting our Contact Us page - select Social Responsibility and then Request Resources. 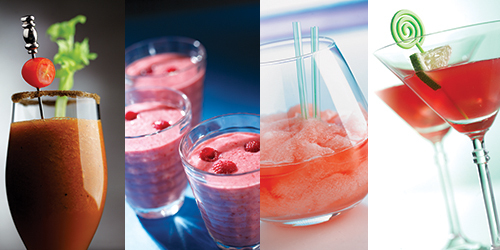 Check out our Featured Mocktails for delicious drink recipes that don't have alcohol. Try one the next time you entertain or just want something special to sip. Watch how one young woman who's expecting handles her less than perfect day.